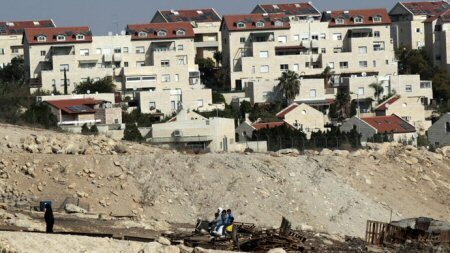 Israeli settlers began, on Wednesday morning, building a new settlement to the south of Nablus, in the occupied northern West Bank, a settlement that was recognized as a substitute for the outpost Amona, which was evacuated last year. According to Al Ray, settlers brought many residential caravans to the outpost near the settlement of Shilo, located between Nablus and Ramallah, where the settlement is expected to house 300 settlers, in the first stage. Israeli Prime Minister Benjamin Netanyahu promised colonial settlers that he would build a new settlement in place of the evacuated settlement, while the settlers chose their location near the settlement of “Shilo”, in the mountains south of Nablus, and called the settlement “Amihai”.